Charles has over 20 years experience in the construction industry. Charles’s hands on approach to management has proven to be very crucial in the company’s success. As a multi-faceted, result driven and highly motivated professional, Charles’s desire to set the company apart has cultivated strategic initiatives and effective programs to ensure the highest possible standards. In addition to constantly identifying and implementing ways to improve, his vast experience with on-site supervision has led the company to develop a training platform that not only motivates new hires but also serves to ensure optimal efficiency and uphold the company’s model for excellence. 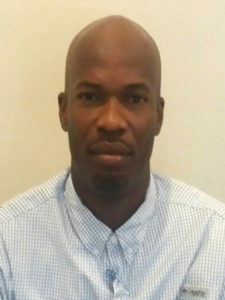 As a seasoned contractor who has participated in the day to day execution and completion of various noteworthy projects in the Bahamas, Charles has acquired the necessary expertise to achieve the best results in this diverse industry. As the owner of Sagoma Construction International, Charles ensures that customer service and satisfaction is afforded the highest attention and priority.